Pet store puppies are puppies mill puppies, as the saying goes. (don’t know what a puppy mill is? click here) . According to the ASPCA, all puppies sold in pet stores MUST come from USDA licensed breeders. 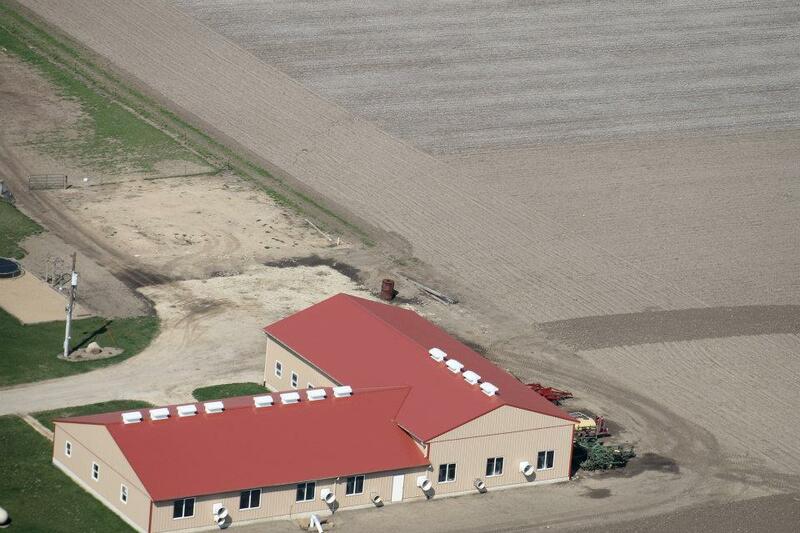 Pets Playhouse has revealed that one of their breeders to be none other than “Maple Tree Kennels” of Alta Vista, Iowa, which is run by JoAnna and Marvin Newswanger. This large scale breeder is fairly new to Iowa, coming from Pennsylvania (near Lancaster County) in 2009. If you know anything about puppy mills, then you know that Lancaster County is home to some of the worst puppy mills in the country This breeder was actually listed on the North Penn “Puppy Mill Watch List” in 2008.Their last few inspection reports, after moving to Iowa, have had over 300 adult dogs and around 200 puppies. These dogs are trapped in kennels with wire flooring and they are bred every heat cycle until their bodies give out. Their latest inspection report (pictured below) shows that the holes in the wire are spaced too far apart and the paws of the dogs easily pass through- which is dangerous- not to mention, terribly uncomfortable to live on your entire life. The Newswangers were also written up for having a layer of hair and wood-shaving dust on the white PVC pipe on top of the kennels. According to the inspection report (also pictured below), the licensee claims that these areas are cleaned at least twice yearly. The puppies that Pets Playhouse sells as “happy and healthy” are born and raised in these kennels. Another recent violation showed that the puppies were being kept with the feed and bedding was stored. According to the USDA inspector, ” This does not facilitate good husbandry practices and does not protect the food and bedding from contamination”. So the puppies are raised in these conditions, sold to Pets Playhouse for less than $100 each, and then resold for a huge profit. According to their facebook page, the store was selling bulldog puppies for $2000 each, teddy bears for $520, and also “cavapoos”, shihtzus, and “pomapoos” for over $400 a piece. BUYER BEWARE: Puppies that come from conditions and places like these can wind up with genetic disorders down the road. We acknowledge that this pet store supports the community by doing a fundraiser each year for the local police station, but is that reason enough to look the other way when cruelty is involved? The parents are truly suffering at the hands of the pet store owner, the breeder and anyone who chooses to ignore the facts. Currently, there are over 787 homeless dogs within 100 miles of Cedar Rapids and it would be fantastic if Pets Playhouse would stop selling puppies. They could help the community by helping find homes for homeless animals in need (note: the store also sells kittens). Here is a photo of the facility… Sure. It looks nice from the outside. But can you imagine 300 dogs living inside. All day. Every day. For their entire lives? Sadly, Pets Playhouse isn’t the only Iowa pet store that sells puppies from puppy mills. Two of the main ones are Dyvigs Pet Shoppe in Ames, IA and Petland in Iowa City. Both have connections to mills and are being protested regularly. And here are more Iowa puppy mills that sell puppies to pet stores all over the country. For more information on how YOU can help dogs trapped in puppy mills, please contact us through our facebook page! We tried to adopt. We couldn’t even see one of their dogs until we name dropped one of the people in a connected organization. Then they found out we had a doggie door. Well, they could not let any of their dogs go to someone with a doggie door. We have a huge, fenced in back yard. We give our two cats and one dog all the love and attention we can. We would never leave them out in the cold, etc. If you want people to adopt and not use breeders, perhaps you should lose the attitude. No home is going to be perfect. We could have lied about the door, it is removable, but the self-righteous, self-serving, we know best attitude was too much. My puppy came from the Newswangers. Good article.